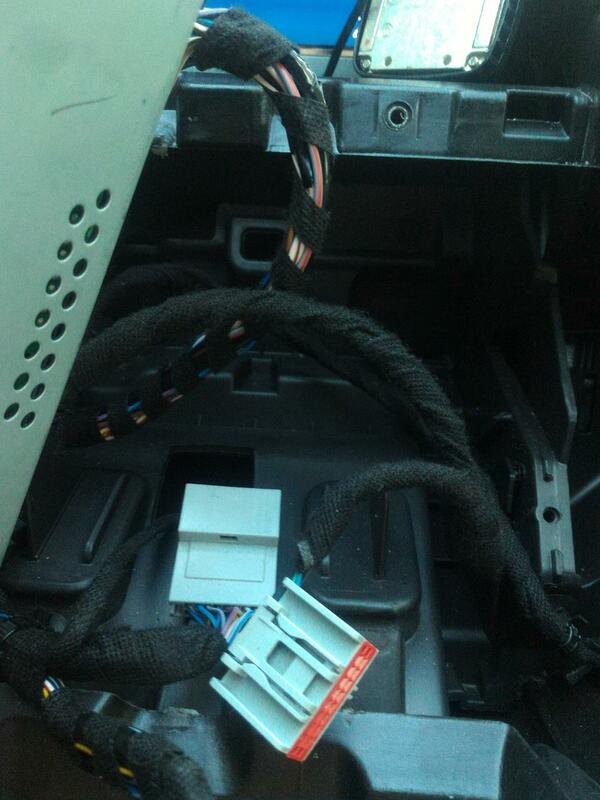 I will be replacing the fascia, head unit (silver box) and the display. Will this be a matter of plug and play? Will I have to change a few parameters in the central configuration using Forscan? 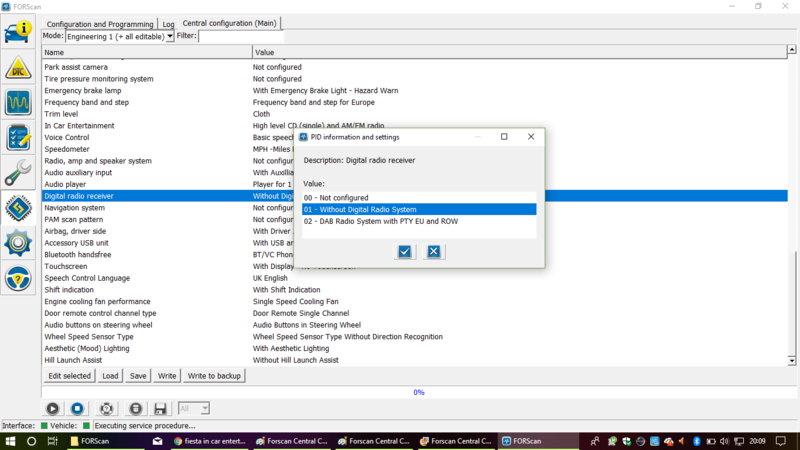 Will my SYNC module work (or is just called a bluetooth voice control module ( is it pre-SYNC days?)) (see picture attached of my current module)? Could someone also tell me what each of the connections are for? I've been trying to find information about this but with no luck. 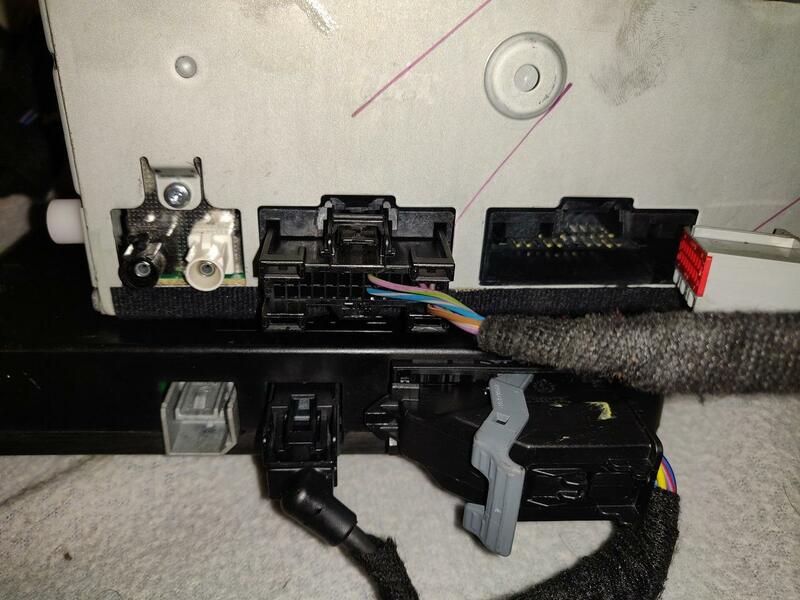 - There seems to be alot of variations of connections in the mk7 stereos. P.S. I also found a redundant plug behind my glovebox - the red connector (see pictures) - does anyone know what this is for? If anyone could point me in the right direction for mk7 stereo connection info, that would be great! Hi there. Looks like you already have the DAB head unit? The fascia and screen should just be plug and play regardless. As for your mystery connections the black and white are FM/DAB connectors whilst the socket next to them is for sync as far as i'm aware. I think you’ll need a new Sync module to get full function. Get one that’s Sync 1.1 compatible so you can get track names through bluetooth. Modules D1BT or newer. 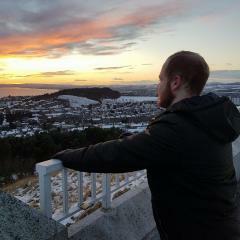 Hi there. Looks like you already have the DAB head unit? The fascia and screen should just be plug and play regardless. As for your mystery﻿ connections the black and white are FM/DAB connectors whilst the socket next to them is for sync as far as i'm aware. Which one is the DAB connector? (the white one?) Does this mean I already have a DAB antenna? Do you reckon the module I have is not a SYNC module? Cant be sure if there is nothing plugged in but the head unit is capable as it has both fm (black) and dab (white) connectors. The module you have is one of the early bluetooth modules that is not sync capable. The late ones look like this. Oh I see, guess I can get a SYNC 1.1 for around 30 quid. 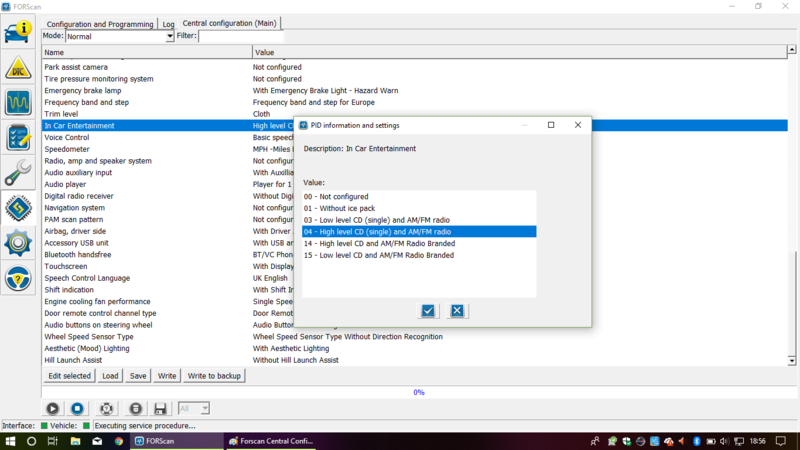 I forgot to mention, I do have a white connector plug (it was plugged in to the back of the head unit).. bit weird since my stereo does not give me the option to access DAB. The new unit came today and I have just installed. Unfortunately the LCD did not arrive... I have contacted seller, waiting for response. It seems the as soon as I turn the stereo on with or without ignition, the display is stuck at the splash screen, the stereo will not do anything no sound etc. I still have the option to go to menu settings for vehicle, clock, display and messages, just no stereo..
Any ideas? Perhaps I need a SYNC 1.1 module? Or do I need to do some configuration on Forscan? Pretty sure you need to change a setting using Forscan. Ok, once my ELM327 lead comes I will update a setting in the Central Configuration - if I can find the relevant parameter. However, I have just tried using the new LCD. Similar to what is shown in pic below. It seems if I install the new LCD in my old head unit then the stereo doesn't even turn on! If I install the old LCD in the new head unit I get a frozen screen (as described above). If I install the new LCD in the new head unit, the stereo turns on (I can hear it) (AUX does not work though, the button doesn't do anything, possibly because of incompatible SYNC module with head unit) but no display! - LCD does not turn on at all. Do you think the reason for no display on the LCD is only due to the configuration set in the BCM i.e. I've just gotta change a setting using Forscan? Hi there, any luck getting this to work? I've received the ELM327 USB adapter and have got to the Central Configuration (main) window. I will probably play around with installing the new Sony head unit this weekend. I'm still not certain what parameter I need to alter in the central configuration though. I have attached a print screen of the two parameters that I probably need to change but I would like to get some clarification.. if anyone knows? 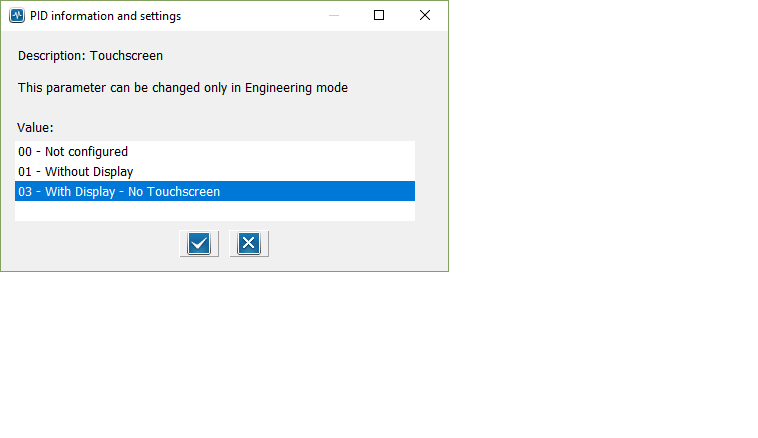 Forscan put on engineering mode, not normal. 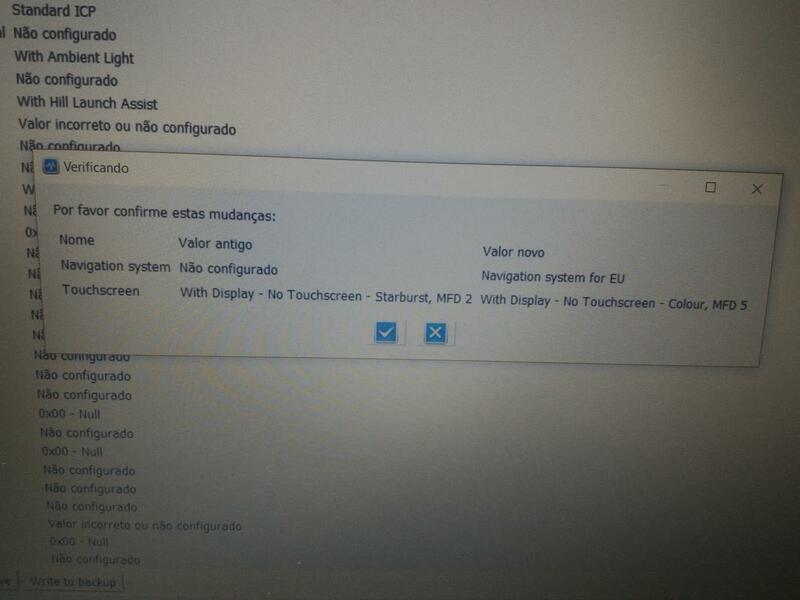 I think you need to change the touchscreen option, to color maybe, see the option there. ipc option, choose branded, so the button 7,8,9,0 work on sony head. In Car Entertainment: Changed from "High Level CD (single) and AM/FM radio" to "High Level CD and AM/FM radio Branded"
Bluetooth handsfree: Changed from "BT/VC Phone Interface + USB Connection" to "BT/VC + Info + Navigation"
Digital Radio Receiver: Changed from "Without Digital Radio System" to "DAB Radio System with PTY EU and ROW"
None of this has helped in anyway - infact the colour LCD does work with my new head unit but there is no backlight, nor any illumination of the lights behind the fascia buttons. It worked before when I said it does not come on, it does it was just very dark. 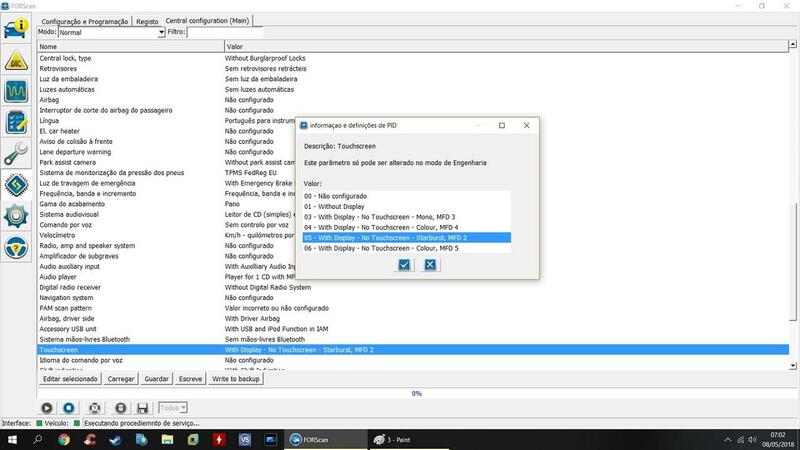 @fgservo - I don't think that connection is for bluetooth, - since it isn't used with my old head unit which has bluetooth and voice connectivity. I think the reason I have no backlight - is due to the PID: Touchscreen: I need to change it to "MFD high"? I however only have 3 options: 01- Not configured, 02- Without Display, 03- With Display - No Touchscreen. I don't have any other options....!? I forgot to tell, my head unit is the same that came with the car, have usb conection, i can't install sony head unit because i lose the usb. But i already have the complete loom (i guess) to change the head unit and have bluetooth and usb, need time to do that. I have other option in forscan, i already have MFD 2 active. 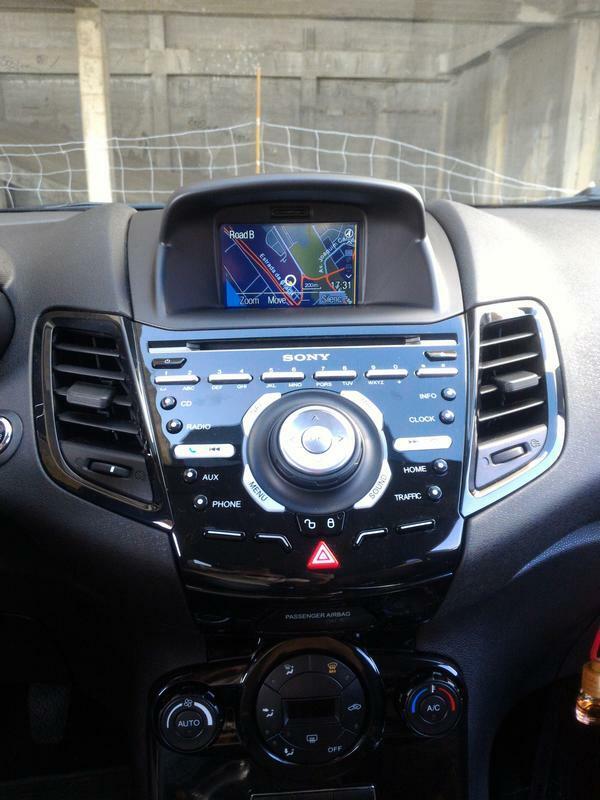 Did you try to keep the head unit, only change facia and lcd? 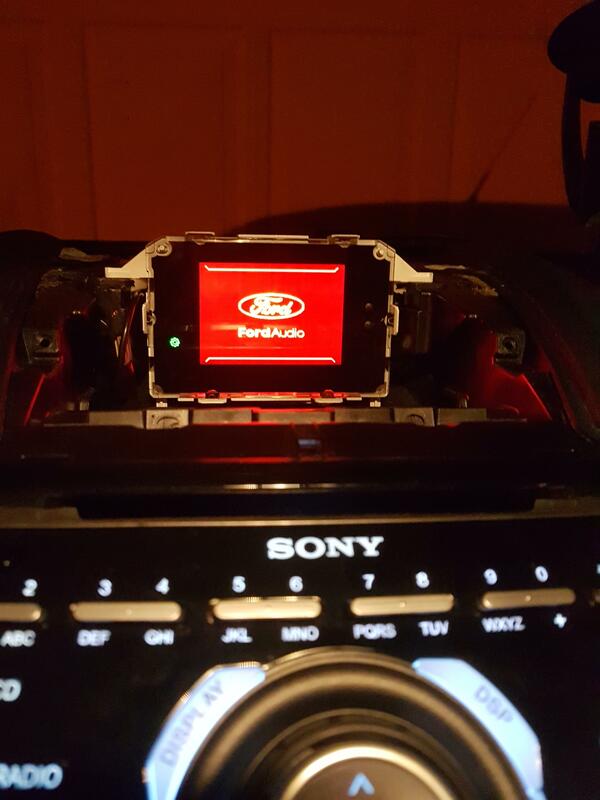 I've tried installing the new LCD with my original head unit and with the new head unit. I've installed the new fascia with both head units. When I install the new LCD with the old head unit, nothing happens, the stereo does not turn on. I get a few dashed lines on the top left of the LCD and no backlight. When I install the new LCD with the new head unit, the stereo turns on, the radio and CD works but no AUX (probably due to incompatible SYNC module). The LCD works but with no backlight and the fascia buttons do not light up. 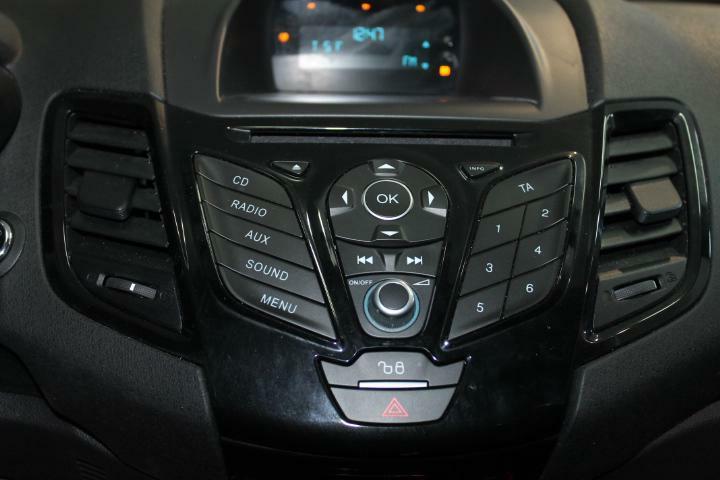 I believe I don't have the extra options for the Touchscreen parameter because my car is a pre-facelift model. If you dont have other options in Forscan, probably the loom is different. Thanks for all them pictures and trying to help me out! 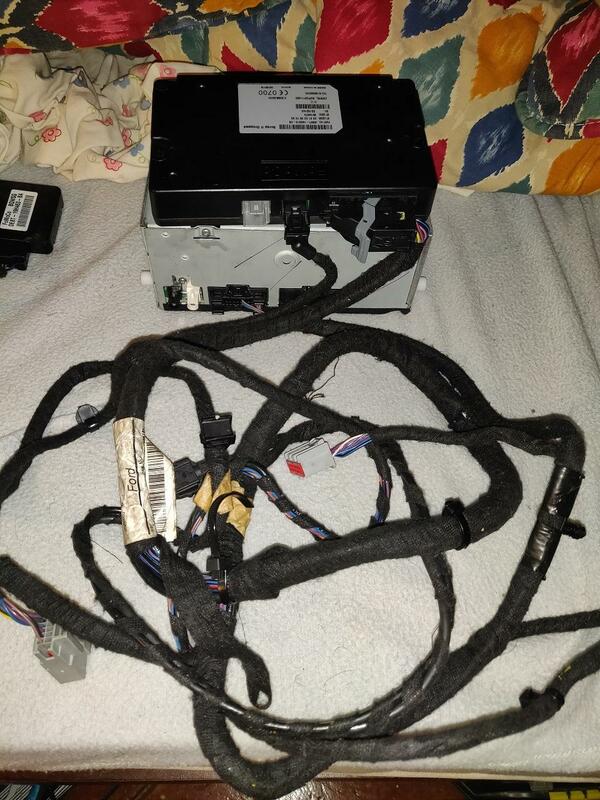 Yeh, I think the reason I don't have the extra options for the Touchscreen PID is due to an older wiring loom.